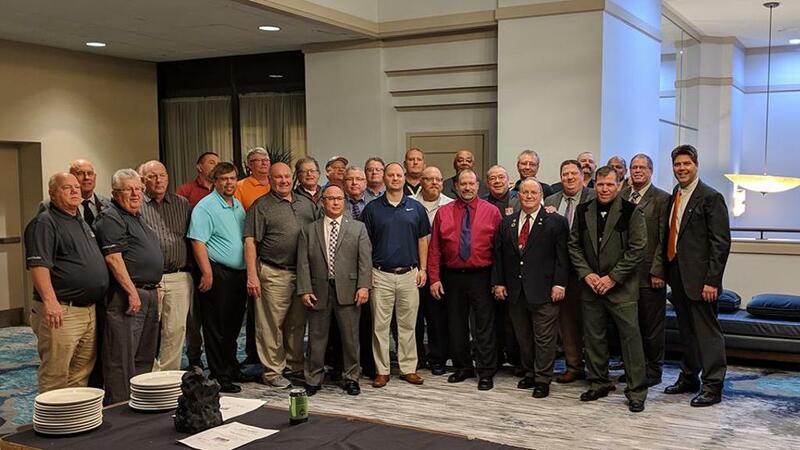 The 26th Biennial Umpire-in-Chief (UIC) Clinic ended this evening with 46 umpires honored by USA Softball. Held at the Sheraton Hotel in Downtown Oklahoma City, over 400 umpires from around the country attended the biennial clinic as the USA Softball Umpire family recognized years of service, awards of excellence, the Merle O. Butler National Award of Excellence and the Tom Mason Award of Excellence. Saturday evening was highlighted by the 10 Regional Awards of Excellence and the Merle O. Butler National Award of Excellence that was given to Jim Craig (USA Softball of New York). In its third year, USA Softball also awarded the Tom Mason Award of Excellence to Diane Carden (USA Softball of Delaware), which honors excellence in rule knowledge and application. To learn more about the USA Softball Umpire program, visit USASoftball.com http://www.teamusa.org/usa-softball/umpires/why-umpire.